The Census matters to all of us—it tells the government how to distribute hundreds of billions of taxpayer dollars. As evaluators, we also frequently rely on Census data in our projects to understand the composition of a community—and we’re not ashamed to call ourselves “Census nerds”! As a mission-driven organization working to build a better world, The Improve Group is also paying close attention to barriers to a complete count in 2020. Because of the importance of the Census to our work and mission, The Improve Group has followed local efforts to make the Census inclusive and complete. We have participated in the Minnesota Census Mobilization Partnership (MCMP), a network of individuals and organizations working on policies and resources to achieve an honest and accurate count. The Census tends to “undercount” certain populations, like renters, people of color, and Native Americans. Like with the research and evaluation we do, the Census can either illuminate diversity and help inform problem-solving, or it can deepen inequities by further marginalizing already marginalized people. We see this as similar to our role as evaluators—we can either adapt our practice to be inclusive or we can contribute to existing inequalities. Consider the Census question asking if people are U.S. citizens. The re-addition of this question for the 2020 Census has led to questions and fear (and lawsuits) among many. People who may be undocumented face fears of deportation or other harms if they answer the question; for others, the citizenship question brings to mind the government’s past nefarious misuse of Census data, like for locating Japanese-Americans to incarcerate in internment camps. Over the years, we’ve noticed how challenging questions, reluctant respondents, and other factors can affect the quality of collected data. We use our Community-Responsive ApproachSM to make sure data collection is meaningful and accessible to all community members. Similarly, the MCMP has released a plan for how to encourage people of all demographics to partake, despite serious barriers. Fortunately, many in Minnesota are working on mobilization and messaging to correct misperceptions and explain the importance of participating. For Minnesota, this Census will also determine if we lose a congressional seat. With The Improve Group’s 2019 focus on inclusion, ensuring a complete count is inspiring and important to us! Familiarize yourself with the Census and educate others. The Minnesota State Demographic Center has developed a list of important FAQs. TheSkimm’s Skimm This podcast also covered the Citizenship question on March 14. Join a Complete Count Committee (CCC) to increase awareness about the Census in your community. Apply to be a Census taker or recruiting assistant with the U.S. Census Bureau. Join the Minnesota Census Mobilization Partnership and continue to monitor the MCMP website! 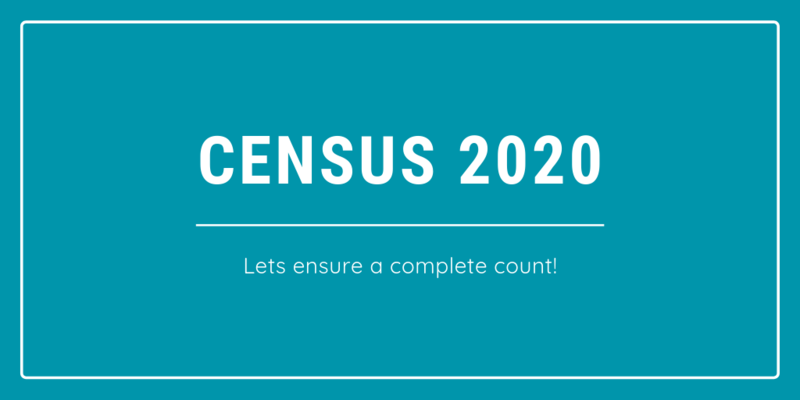 We hope you join us in advocating for a complete count in 2020—and wear the label of “Census nerd” proudly!